The Labor Day editions of the Sunday political shows featured a would-be president lying about energy policy and a so-called "Tea Party kingmaker" lying about safety net programs. 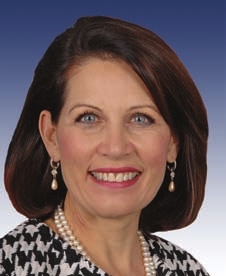 On CBS, Rep. Michele Bachmann (R-MN) defended her promise that as president she would bring gas prices below $2 per gallon by claiming that President Obama has put American energy resources "off limits." Actual energy experts have said repeatedly that government policies aren't behind rising gas prices, which were "inevitable" in light of the artificially low prices brought about by the economic collapse. And the statistics don't back up Bachmann's accusations about Obama policies. Meanwhile, Sen. Jim DeMint (R-SC) told ABC viewers that Social Security is bankrupt (even though it isn't) and claimed on CNN that unemployment benefits don't create jobs (even though they do). Read our full fact check HERE.